I found that one of the most difficult things to make on my own was mayonnaise. Every recipe I found had raw eggs in it, called for ingredients I can’t have, or just made a ton of it! Then I found a recipe online that called for cooking the mayonnaise. I’ve modified that recipe to make it easier. If it makes you feel better to hand whisk your mayonnaise over a double boiler for several minutes, knock yourself out. I’m using a stick blender and pasteurized eggs! You can buy pasteurized eggs at some stores, but you can also easily make them yourself. As per the picture to the right, I place a smaller pan lid upside down in the next larger pot to protect the eggs from the direct heat. A metal steaming rack would also work. Anything that keeps the eggs off the bottom of the pan but that can be submerged in water. A bamboo steamer is probably not a good idea. 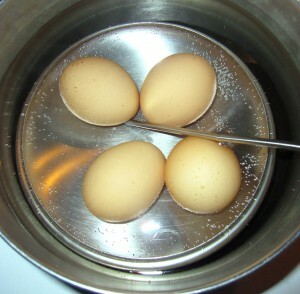 Place the eggs in cold water with a temperature probe. You must bring the water up to 140 – 150°F (60 – 65°C) for 3 to 5 minutes to pasteurize them. If you exceed 150°F, you will begin to cook the egg. While hard boiled eggs would not work, if the egg whites turn a little white, it won’t affect the mayonnaise. That’s another reason to use the stick blender! Add your pasteurized egg, lemon juice and salt to a small mixing bowl. Blend with the stick blender until completely mixed. Stream in the melted coconut oil and safflower oil while the blender is running. You could use a jar blender if you don't have a stick blender. This post was shared on BFF Open House, Kitchen Fun & Crafty, Friday Flash, Weekend Re-treat, Real Food Friday, Tutorial Thursday, Live Laugh Linky, Feathered Nest, Foodtastic Friday, Pennywise Platter, No Rules Weekend, Doggone Dirty Craftin’, HomeAcre Hop, Link Party, Catch A Glimpse, Inspire Us Thursday, Favorite Things, Full Plate, Fabulously Frugal, Create It Thursday, All Things Thursday, Project Stash, From Dream to Reality, Pretty Wednesday, What I Learned, It’s A Party, Wicked Awesome, Inspire Me Wednesday, Mountain Woman Rendezvous, Fresh Foods, Whatever Goes, What’s Cookin’, Wildcrafting Wednesday, Lovely Ladies Linky, Your Whims, We Did It, Wednesday Whatsits, WFMW, Real Food Wednesday, Gluten Free Wednesdays, Hearth & Soul, Wake Up Wednesday, Wow Me, Allergy Free Wednesdays, WNWNW, Wonderfully Creative, Cast Party, Delicious Dish, Wonderful Wednesday, Whimsy Wednesday, Creative Muster, Melt in your Mouth, Natural Living, Block Party, Mix It Up, Real Food Recipe, See Ya in the Gumbo, Monday Funday, A Round Tuit, Marvelous Monday, Inspiration Monday, Handmade Tuesday, Turn It Up, Simple Supper, Anti-procrastination, Totally Talented, Share Your Stuff, Inspire Me, Treasure Box, You’re Gonna Love It, Create Link Inspire, Time to Sparkle, Inspire Me, Good Tips, Meal Planning Monday, Thoughtful Spot, Mad Skills, Recipe Sharing, Made By You, Show Me What Ya Got, Tuesday with a Twist, Tutorial Tuesday, Sew Darn Crafty, Tasty Tuesday, One Project at a Time, Take A Look, Wordless Wednesday, Two Cup Tuesday, Much Ado About Monday, Fat Tuesday, Homestead Barn Hop, What’d You Do This Weekend, Free From Favorites, Wildly Original, Showlicious, Happiness is Homemade, Simple Life, Anything Goes, Clever Chicks, Nifty Thrifty, Think Pink, Show & Tell, Strut Your Stuff, Show Stopper, Inspiration Spotlight, Savoring Saturdays, Weekend No Rules, Real Food Fridays, Foodie Friends, Fancy This, Friday Favorites, Friday Frenzy, Inspired Weekends, Foodie Friday, Frugal Friday, Party Bunch, Show and Tell, Freedom Friday, Simple Meals, Fight Back, Farm Blog Hop, Weekend Re-treat, and Gluten Free Friday. This entry was posted in Condiments, Recipes and tagged coconut oil, corn free, dairy free, egg, gluten free, lemon, sugar free. Bookmark the permalink. 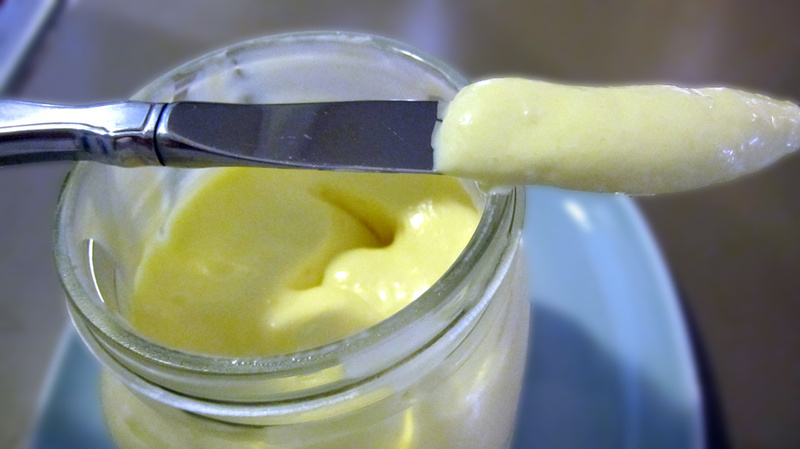 21 Responses to Small Batch Mayonnaise – 5 Ingredients! Stopping by from Everything Goes Blog Hop. I cannot wait to try this. I have been a little scared to make my own mayo. Not sure why I didn’t think to use pasteurized eggs! Thanks for sharing. Just email me with your email.. Mom mom used to always make homemade mayonnaise. I’ve never tried it but you’ve inspired me to give it a try. Thanks for sharing at Fluster’s Creative Muster Party. I’ve never made homemade mayonnaise before. Sounds great! Thanks for sharing at Simple Supper Tuesday. I have been thinking about making my own mayo, but have tried other things that have failed. Glad you had success, thanks for sharing again on Real Food Fridays. Love it! I love homemade mayo, but it always makes so much! Thanks for sharing this at Savoring Saturdays! I’m liking how this recipe isn’t a mega huge batch and you show us how to make pasteurized eggs. Thanks for sharing this recipe with us on Five Friday Finds! Looking forward to what you bring this week! 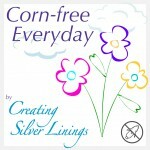 Thanks for stopping by and sharing at the Thoughtful Spot Weekly Blog Hop! Cool! 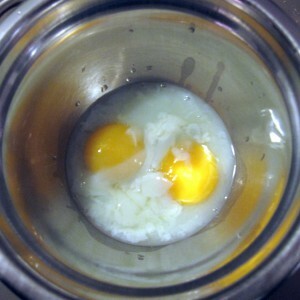 I’ve always wanted to make homemade mayo, but raw eggs skeeve me out. Thanks for the tips and thank you for linking. This looks like a great homemade Mayonnaise. Hope you are having a great weekend and thanks so much for sharing your awesome recipe with Full Plate Thursday. I’ve always wanted to try to make my own mayo. You make it look so easy. I need to try this! Thank you for linking up with Meal Planning Monday Recipe Link-Up! 🙂 I hope you join us again this week!